We understand starters, alternators and generators completely! We don’t just sell you a product in a box. We sell you the right unit tested and guaranteed and we know how it works! We have the latest test-equipment. 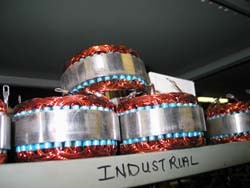 We have 35+ man-years technical experience manufacturing and rebuilding DC motors. We carry over 1,500 starters, alternators and generators in stock. 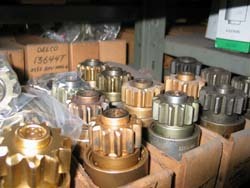 We have parts and complete units as far back as 1950. We service any 6, 12 or 24 volt DC motor used for pumps, reels, winches, lifts, etc. We service inboard and outboard marine power tilt units. Our Customers tell us that our Quality and Service are outstanding. With over 25 years in the business we have long list of satisfied customers. We can ship anywhere, same day.